The use of asbestos in the building industry was banned in the 1980s because of its possible life threatening effects, but what is it exactly and what are the dangers? 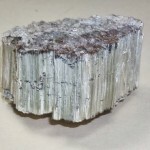 Asbestos is in its raw form is a naturally occurring mineral that has a number of properties conducive to building construction such as sound absorption and resistance to fire and heat. It was first used approximately 4500 years ago when primal tribes from Finland used it to strengthen earthenware pots and cooking utensils. It has its modern origins in Quebec where it was first commercially mined, with the world’s largest mine located in the town of Asbestos, Canada. It was commonly used around the globe as a building material from the 1950s right through to the 1980s when many countries, after discovering its dangerous side effects completely banned its use. Much has been said and written on the subject of asbestos, and in any article or discussion, the most common questions are what it is and why is it so dangerous? Quite simply, this element is dangerous when it breaks down into small pieces –small enough that it can be inhaled and enter the lungs. Small particles become lodged in the lungs and the effects are not evident until anywhere from 15-40 years later. The three most common lung diseases as a direct results are lung cancer, mesothelioma and asbestosis. If you think you may have a property that is affected or quite simply you have questions on what asbestos is, then please call us on (07) 3151 0312 for a quote and professional advice.